Churrasco, loosely translated as “grilled meat,” is a staple of most Latin American and South American countries. It is often served with chimichurri sauce, a tangy and slightly spicy condiment that I have been trying for years to recreate at home. I have tried dozens of different recipes, but none were just right. I had to modify each one to get the flavors I was seeking, but since I never wrote down what I’d changed, I could never make it the same way twice. This past summer I finally found a tried and true recipe that I only slightly modified. This time I actually wrote down what I changed, so now I can rely on this recipe to turn out amazing. Every single time. 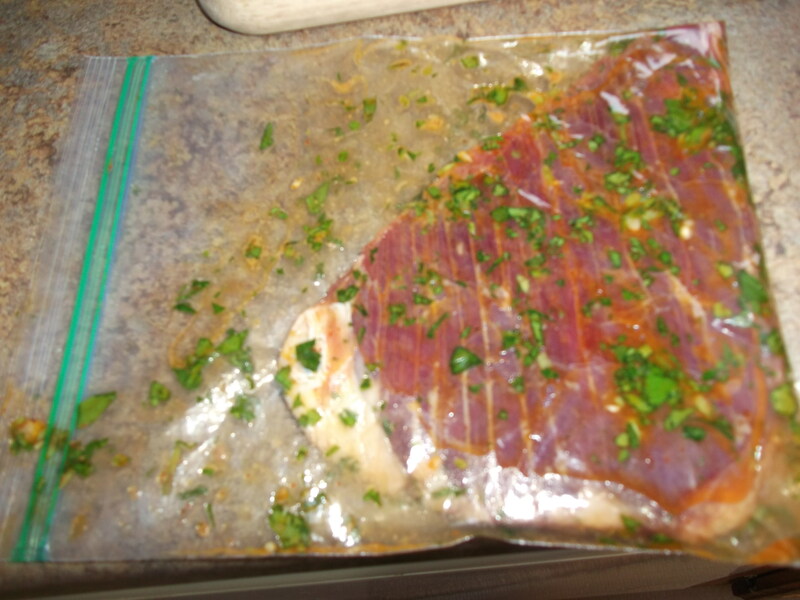 Marinate the steak: Combine all the marinade ingredients in a bowl or resealable plastic bag large enough to hold the steak. Coat the steak with the marinade and place in the refrigerator for several hours, or even overnight. 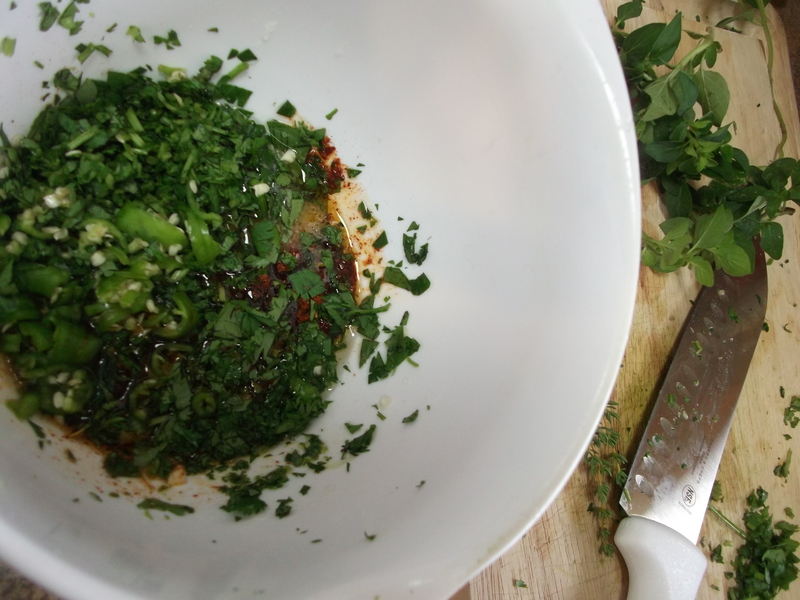 Make the chimichurri: in a full-sized food processor, place the oregano, parsley, cilantro, garlic, salt, water and olive oil. Pulse for about 20 seconds to blend. Add the remaining spices and white vinegar and pulse again to blend. Transfer the mixture to a bowl and stir in the red wine vinegar. Keep refrigerated until ready to use. Remove the steak from the refrigerator 30-60 minutes before cooking to allow it to come closer to room temperature. 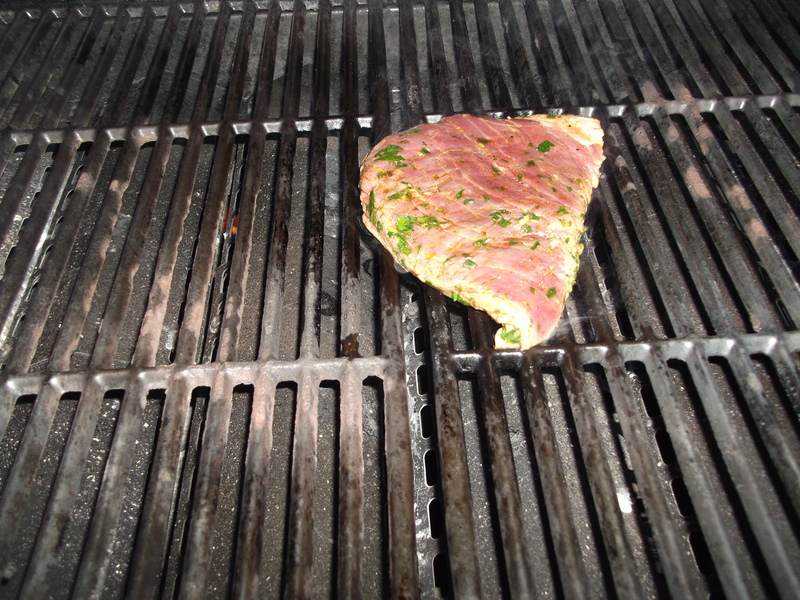 Preheat grill to medium-high heat (400 degrees or so), and grill the steak to desired doneness. (For medium rare, grill each side of the steak for 3-4 minutes.) Tent the grilled steak with foil and let it rest 10 minutes. 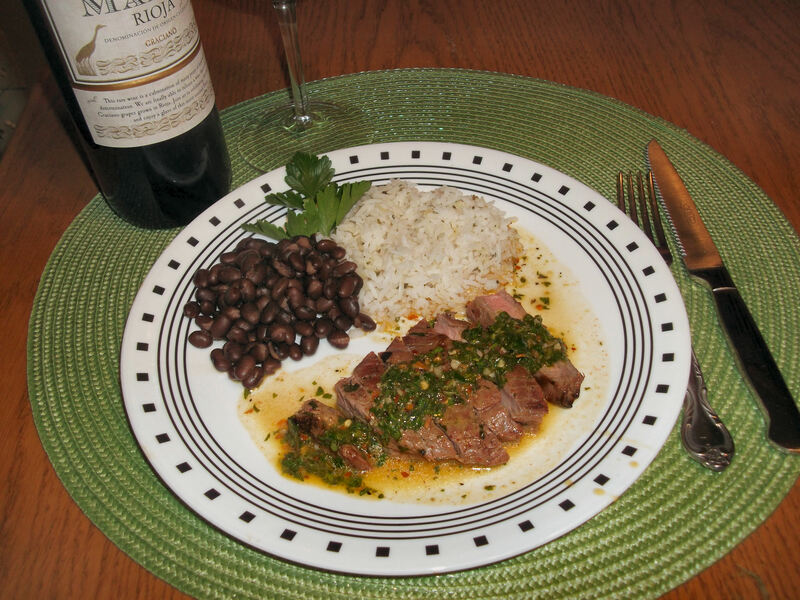 To serve, slice the steak thinly across the grain, top with chimichurri and serve with white rice and black beans. 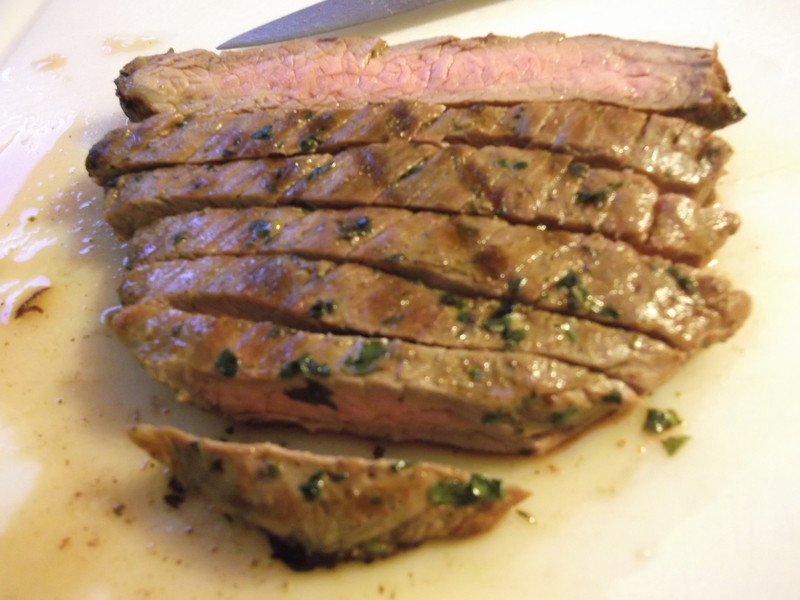 This recipe for the marinade and chimichurri makes enough for 3 pounds of flank steak. However, if you are thinking of scaling back the recipe to use less steak than that (here I used just an 8 ounce steak), go ahead and make the full recipe anyway and freeze any leftover marinade and chimichurri for next time. Because once you try this, you know there will be a next time. And another time after that. And so on. Chop and mince the items that need chopping and mincing, and combine all the ingredients in a bowl. Stir to combine. Place the steak in a bowl or resealable plastic bag large enough to hold the steak. (If using less than 3 pounds of steak, use just enough marinade to coat it well and set aside the rest). Coat the steak well and keep refrigerated while it marinates. Back to the chimichurri. Get all the ingredients ready. 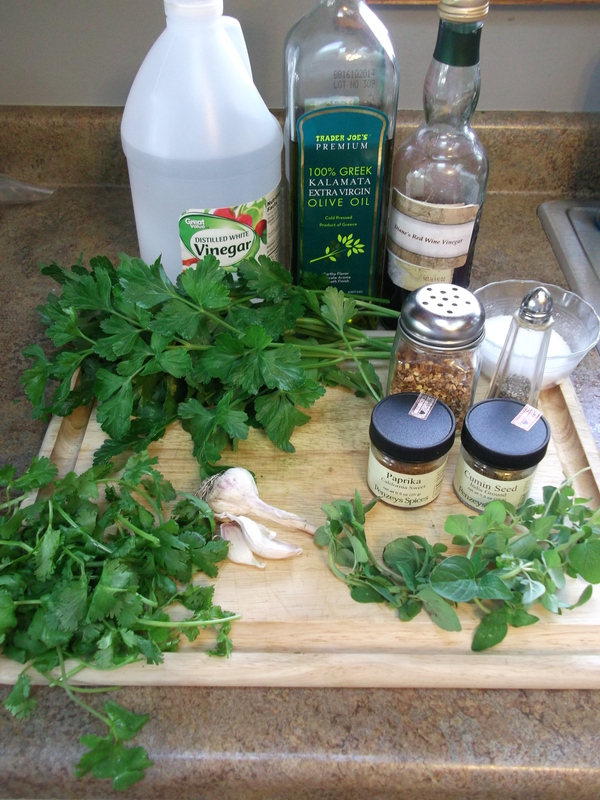 Place the oregano, parsley, cilantro (if using), garlic, salt, water and olive oil in a food processor or blender. 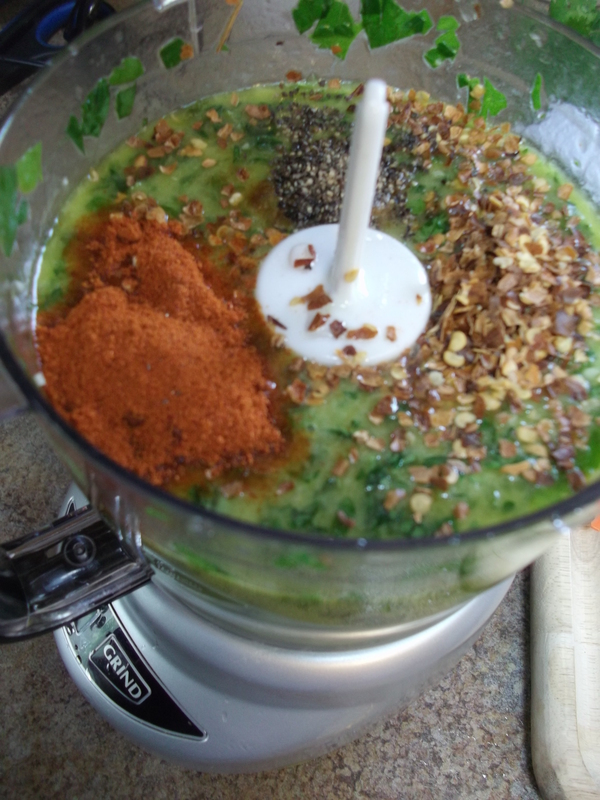 Pulse for about 20 seconds to blend into a smooth, light green mixture. Add the rest of the spices and the white vinegar; pulse again to blend. Transfer the mixture to a bowl and stir in the red wine vinegar. 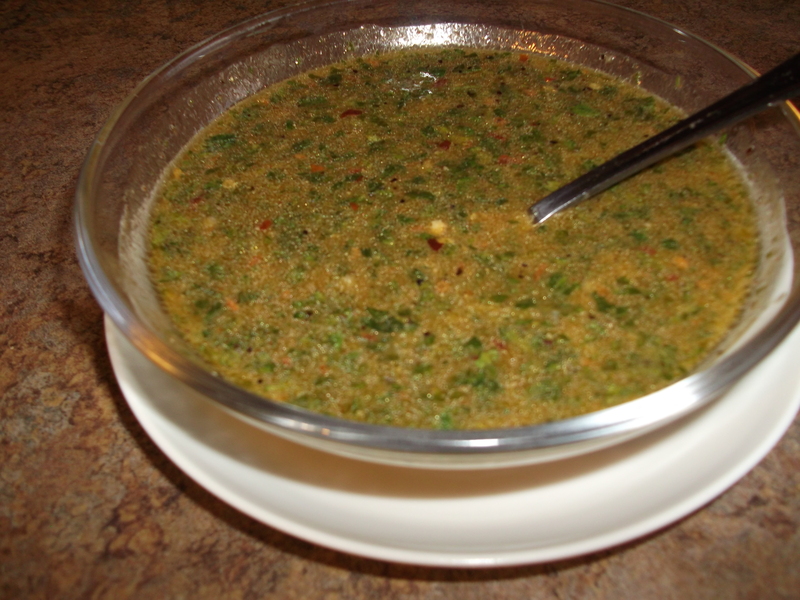 The sauce will still look green, but with the right lighting (or camera flash), it may appear slightly orange. Don’t worry about the color. It’s still going to taste amazing. Keep refrigerated until ready to use. Remove the steak from the refrigerator about 30-60 minutes before cooking to allow it to come close to room temperature. The “warmer” the steak, the more quickly and evenly it will cook. Cover the grilled steak with foil and let it rest for 10 minutes. During this rest period, the meat’s juices will redistribute and make for a juicier steak. 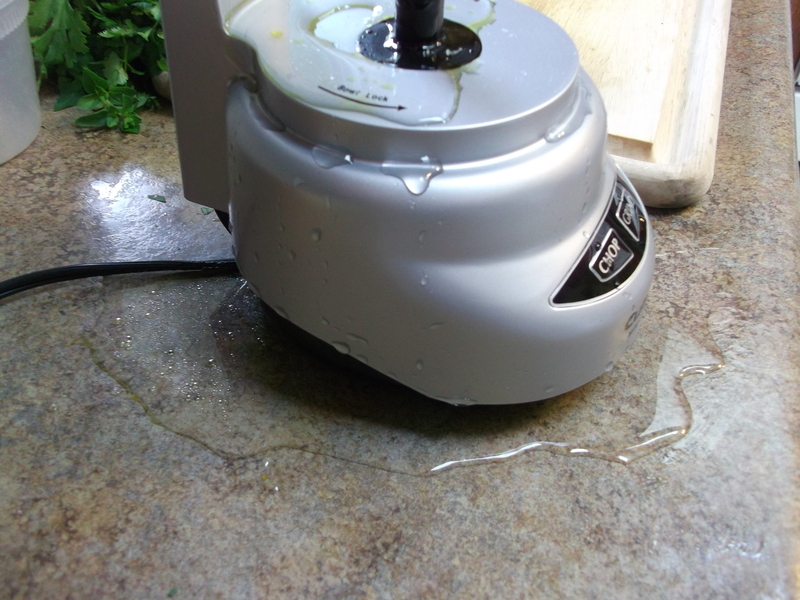 Cutting into it right away allows all those juices to escape, resulting in a drier steak. I know you’re hungry and that it’s hard to resist, but wait those 10 minutes. Trust me. After resting, slice thinly across the grain. Slicing along the grain makes for a tougher, chewier steak, while slicing across the grain leaves it more tender. There’s a scientific/physiological reason for that, but I won’t get into that now. I know you’re hungry. I won’t keep you waiting. 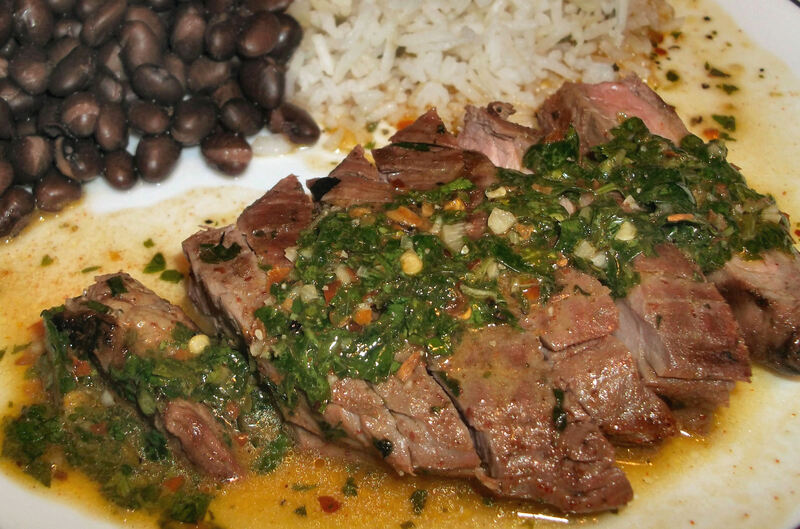 Top the sliced steak with chimichurri and serve with white rice and black beans. This meal pairs especially well with red wines like Argentinian Malbec or Spanish Rioja or Garnacha. Enjoy! 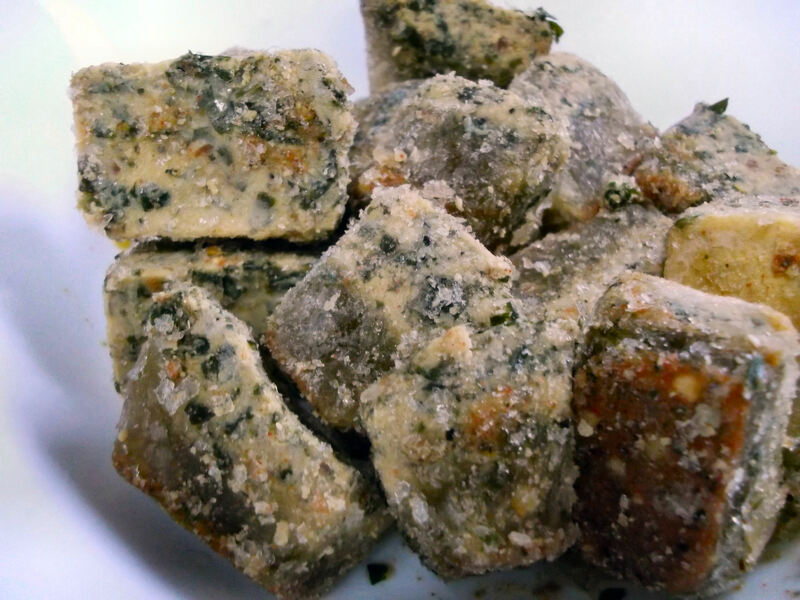 Tip: Pour any leftover chimichurri into ice cube trays to freeze into cubes. Thaw as many cubes as you need, whenever you need them. 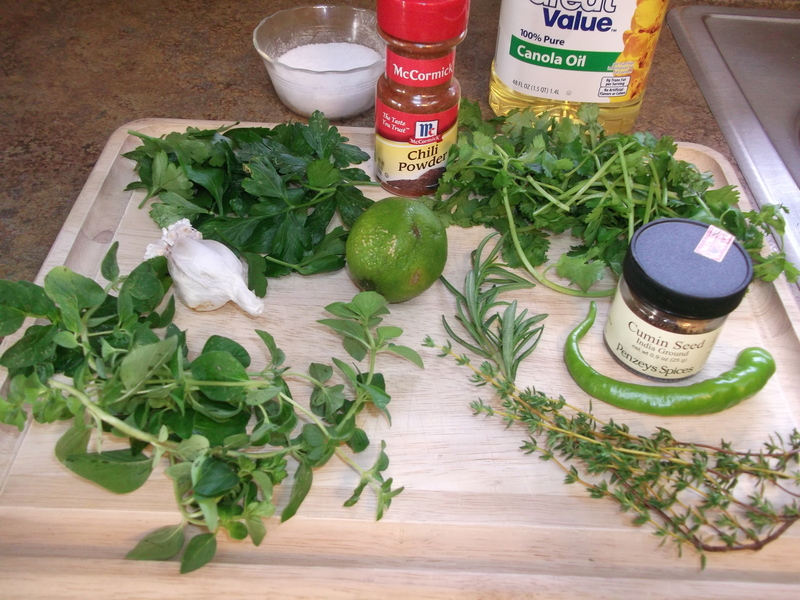 Chimichurri on demand. It doesn’t get much better than that.